SOUTH Australia's mega battery will be powered up for the first time in coming days as testing of the 100MW facility begins. Built by US tech billionaire Elon Musk's Tesla company, the enormous battery is expected to be ready to provide power to the state from December 1. 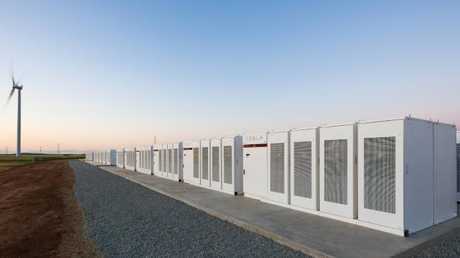 Tesla powerpacks, connected to the 99-turbine Hornsdale wind farm run by French company Neoen, have been fully installed on the site near Jamestown, north of Adelaide, at a cost of about $33 million. Testing is underway to ensure they comply with South Australian Government and Australian Energy Market Operator requirements. Premier Jay Weatherill has flagged that he will travel to Jamestown next week to officially launch the battery. The battery will run continuously and provide background security to the electricity system when shortfalls arise. At least 70 per cent of the stored power will be reserved for use by the state government to put into the electricity grid. Tesla's lithium-ion battery in Jamestown. Source: Supplied. Under the agreement between Mr Musk and the State Government, if the battery was not delivered by Tesla within 100 days of the grid interconnection agreement being signed, it would be free. However, the project will easily meet that deadline as that agreement was signed on September 29. The lithium ion battery is reportedly three times more powerful than any other system on Earth. 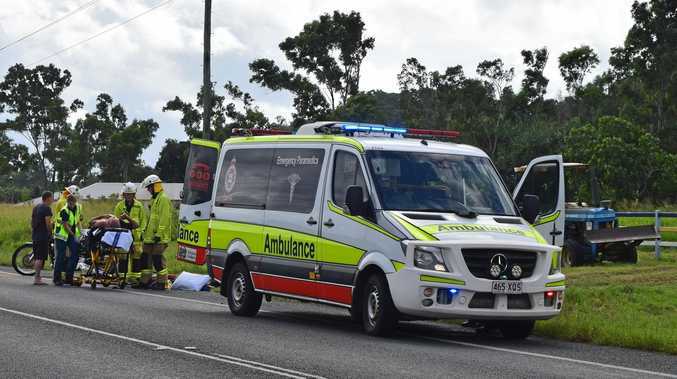 The battery is part of the State Government's $550 million energy plan, which was put together in the wake of a statewide blackout in September last year and load shedding in February. Mr Weatherill said the battery would make SA "more self-sufficient" and provide back-up power over summer, when high temperatures raise the risk of further blackouts.